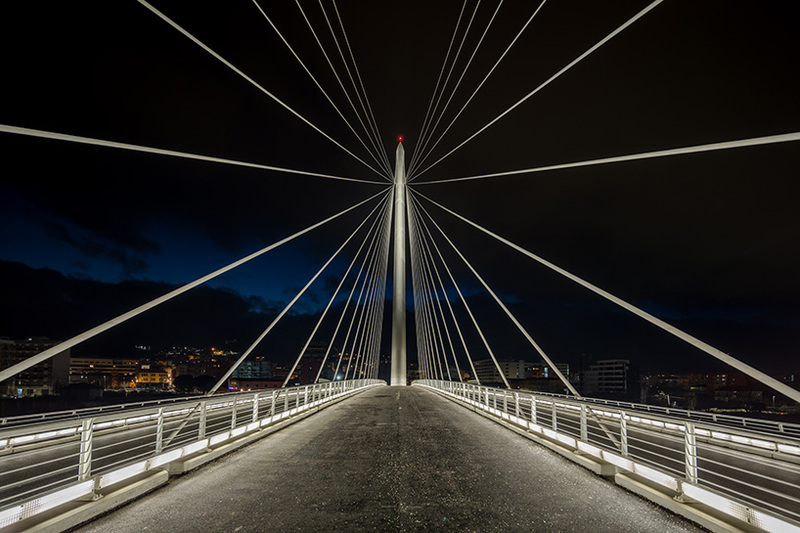 The new Cosenza Bridge in Calabria, Italy connects two sides of the city, an important project that unifies areas once detached on the banks of the Crati river. Designed by Santiago Calatrava, the structure serves more than just a useful purpose but also enhances the beauty of the city resembling a towering musical harp. The bridge extends 459 feet in length and 269 feet in height above the road. It’s most striking feature are the inclined pylon ropes rising up and above the urban landscape below. 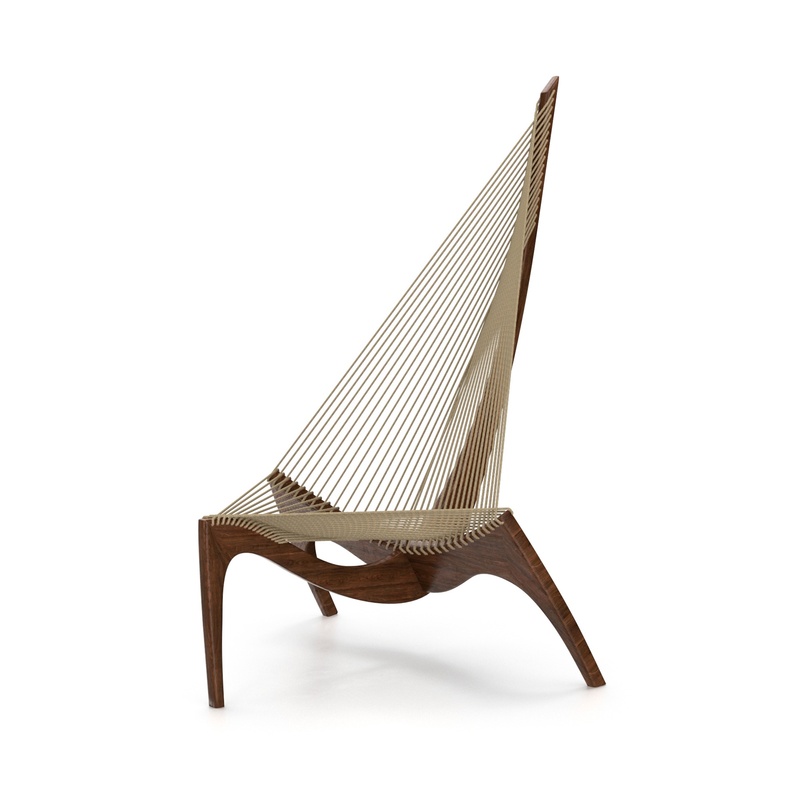 Made from steel, concrete, and natural stone, Calatrava adds a touch of his personal style to the design with the materials used while paying tribute to deceased Danish designer and visual artist Jorgen Hovelskov who created the “Viking Chair,” later titled the “Harp Chair,” in the early 60’s. 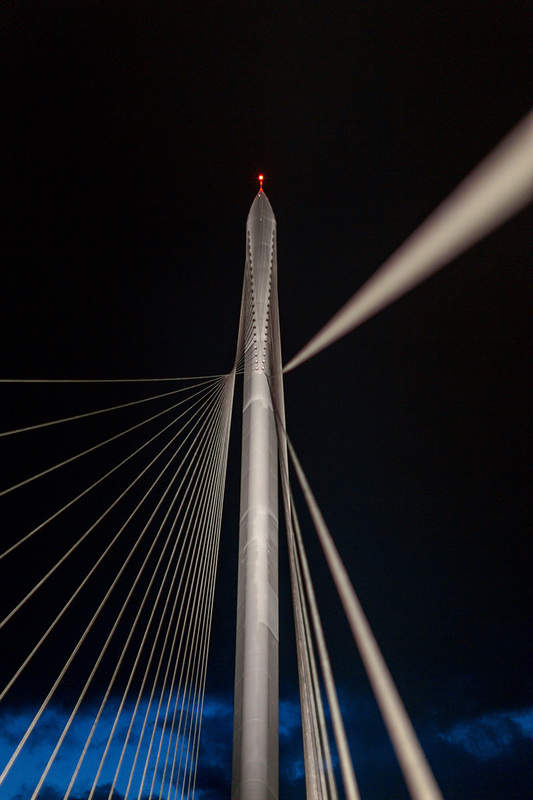 The ascending pylon is made of slender steel and draws the gaze upward. 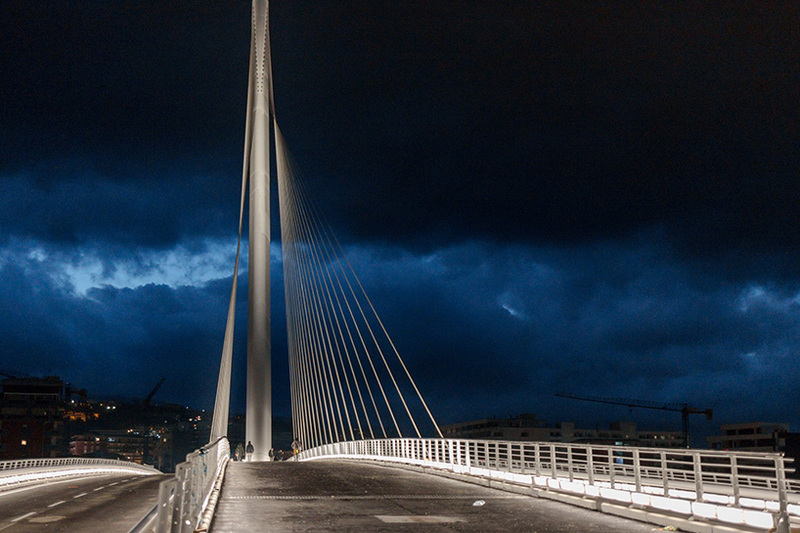 The lighting complements the design by creating a “carpet of light,” illuminating the bridge 24 hours a day. Lighting designers, Zumtobel Group, used energy saving LED technology for visual comfort and aesthetics. Additionally, LED lights were placed into the lower part of the railings. 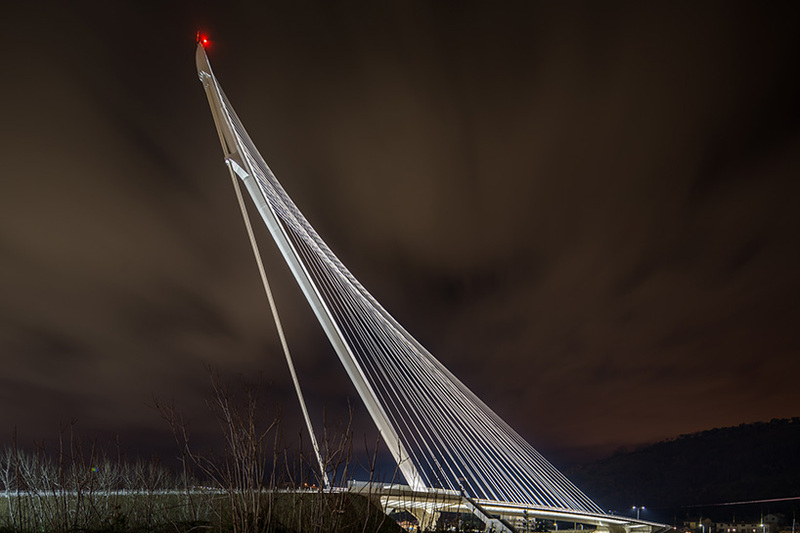 Future plans for the Cosenza bridge design include a steel and glass-covered shelter for pedestrians on the riverbank closest to the pylon.